It feels like this quote has been chasing me down, hot on my heels for the past few days. Wanting my attention. I keep bumping into it. So of course I just giggled with non surprise when this book by Messenger arrived and I opened it up unknowingly to find that same quote jumping out at me a few pages in. Ok I get the message! 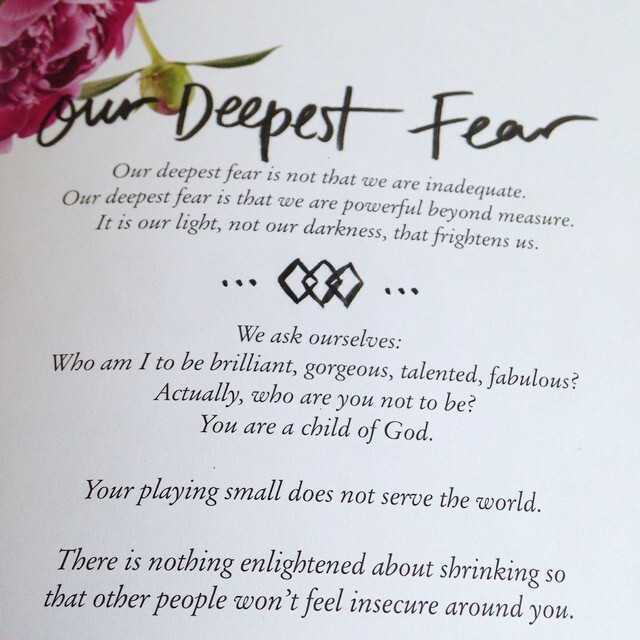 I’ve highlighted in bold the parts that jumped out at me, about not playing small or hiding our light. If you needed a nudge to start living up to your full potential today, consider this it!